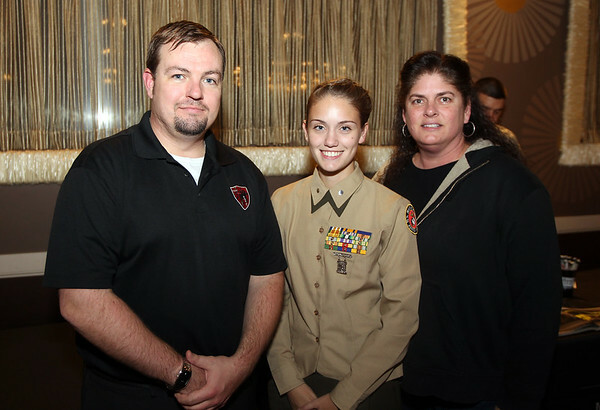 Sean McDonough, Recruiting and Scholarship Officer from MIT, Beverly High School senior Brandi Duzz, and her mother Lisa Duzz, at the Service Academy Information Night held at the Danversport Yacht Club. DAVID LE/Staff photo. 11/5/14.